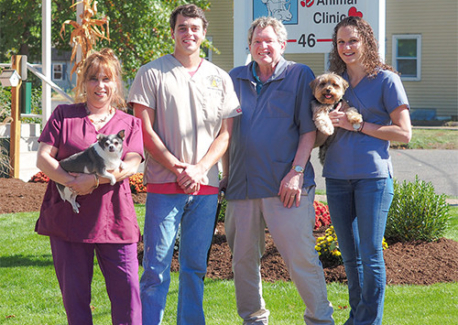 For almost seven decades Windsor Animal Clinic has become this area’s trusted animal hospital. Our friendly staff is dedicated to providing high quality, individualized and compassionate care for our patients and their families to allow for long, healthy lives. We have 2 highly qualified veterinarians, who offer over 50 years of experience. From the tiniest kitten to the biggest bull in the herd, we have the facilities and tools to treat your animals. We have the medicine and treatments your pet needs. If we don't have something in stock, we can order it for you.